Looking for a way to spice up your summertime basics? Today’s story is for you. As someone who loves any excuse to throw on a simple white T-shirt and, seeing as we are in peak sandal season, I thought it would be fun to round up items that, when combined with those two essentials, can make a complete outfit—and a stylish one at that. Enter: things like layerable dresses and jumpsuits, cool jeans, statement pants, and fun skirts. It seems obvious, but by consciously pieces that make a statement on their own, you can save yourself a lot of time in the styling department. So without further ado, shop my edit of 23 items that just need a white tee and sandals below. Ganni makes the best dresses for layering. Is anyone else really into leopard right now? It was hard to choose just one item from Tibi, but these shorts stole my heart. Yes to red contrast-stitched pants. A leather dress you can actually wear in summer. I love the color of these cargo shorts. Can’t you imagine how cool this would look over a tee? I am obsessed with these belted jeans. I’m obsessed with these new Nanushka pants! The tropical trend has evolved way beyond Hawaiian shirts. 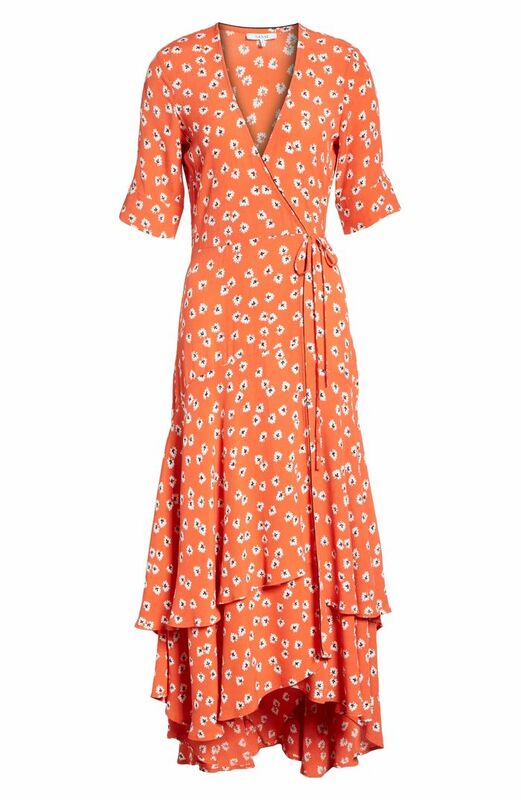 Love a good Rixo wrap dress. I’m obsessed with any and all pants from this brand, so why not extend my love to shorts? This midi skirt will be the star of any outfit. Paperbag pants are the perfect summer weekend choice. The slip dress will always have a place in our closets. You can never have enough stylish skirts. Slightly unbutton to add some cool to your look. Love a layered jumpsuit look. Honestly, this story could have been completed with entirely Reformation items. These pants would honestly look good with anything. Up next? Shop more of my favorite brands for summer clothes.